Military personnel who receive cognitive behavioral therapy (CBT) in the short-term may reduce their probability of attempting suicide, according to a recent research from the University of Texas Health Science Center San Antonio (UTHSCSA). The study conducted at Fort Carson, Colo, focused on patients already at risk or who had attempted suicide before and revealed the effectiveness of the therapy. For two years, UTHSCSA researchers analyzed data of 152 active-duty soldiers who were classified as high risk or who had already tried to kill themselves. 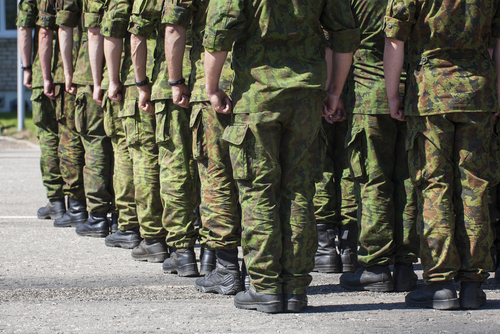 Patients received CBT in order to prevent future suicide attempts with researchers assessing this method’s effectiveness, observing that patients who received CBT were 60% less likely to commit suicide than soldiers who underwent the standard treatment. The findings of the study entitled “Brief Cognitive-Behavioral Therapy Effects on Post-Treatment Suicide Attempts in a Military Sample: Results of a Randomized Clinical Trial With 2-Year Follow-Up,” which were recently published in The American Journal of Psychiatry, are especially important since the number of active-duty service members who were diagnosed with psychiatric conditions increased over 60% during the Iraq and Afghanistan war, as well as suicide and suicide attempts. In addition to Peterson, Bryan and Rudd, other authors include Stacey Young-McCaughan, RN, PhD, and Jim Mintz, PhD, who are researchers from the STRONG STAR Consortium. The international research group funded the study, with funds from its program focused on the development and examination of diagnosis, prevention and treatment methods for combat-related post-traumatic stress disorder and diseases associated with it.